Baton Rouge, La. – Bruce T. Murphy was unanimously named the fifth president of Nicholls State University today by the Board of Supervisors for the University of Louisiana System. Currently serving as Vice President for Academic Affairs at Air University in Alabama, Murphy will officially take the helm at Nicholls in mid-January. “We’ve got the Colonels for the Colonels,” said UL System Board Member Jimmie “Beau” Martin who made the motion to appoint Murphy. Both President-Elect Murphy and his wife, Jeanne Picariello Murphy, are retired from the U.S. Army. They earned the rank of Lieutenant Colonel and Colonel, respectively. The Colonel is Nicholls State’s mascot. During his interview with the board, Murphy detailed his goals for the university including establishing relationships, conducting a thorough academic program review, and growing enrollment and the university’s mission of serving the region and beyond. “The role of the president is to facilitate the dreams of all the different constituencies: the students, faculty, staff, alumni, and community. You have to learn what those dreams are, then you have to get the financial resources to enable them. You have to tell the Nicholls story,” said Murphy. UL System President Sandra Woodley praised Murphy’s extensive experience in leadership roles. “He has a unique blend of higher education leadership and military experience. I expect we will see great things from his presidency,” she said. Prior to his current position at Air University, Murphy served as the Founding Dean of the School of Business at Point Park University in Pittsburgh. He was also Founding Director of the Graduate Program in Organizational Leadership and Chair of the Walker School of Business at Mercyhurst College in Pennsylvania. He taught military science at Vanderbilt University and leadership at the U.S. Military Academy at West Point. Altogether, he spent 21 years in military service. 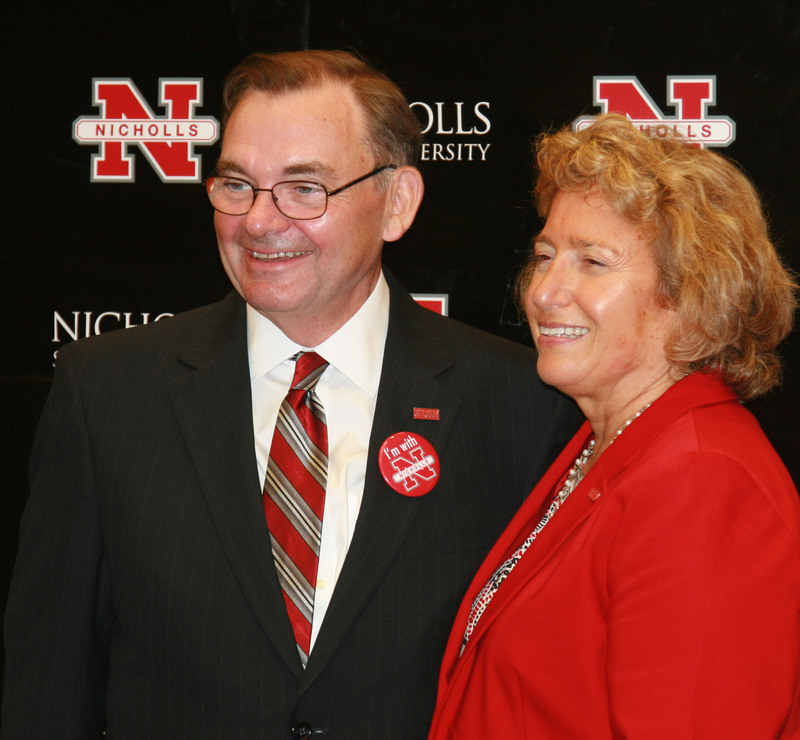 Nicholls President Stephen T. Hulbert, who led the university for a decade, formally retired from the university on Aug. 1. His second in command, Lawrence W. Howell, currently serves as the Interim President. For more information about the search including Murphy’s résumé, visit www.ulsystem.edu/NichollsSearch.